"The Unavailable Carl Barks" is the title of a newly released book collecting stories that has been out of print for a long, long time in the US. A "must have" for the Barks fan. As you may be aware, in addition to his Disney work, Carl Barks wrote and/or drew 36 non-Disney comic book stories. 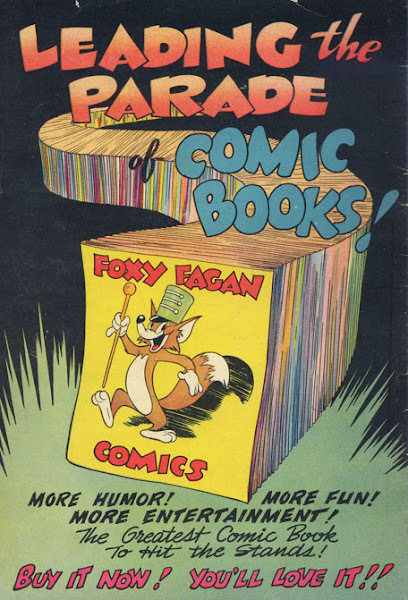 Unlike the Disney comics, these have not been widely reprinted. 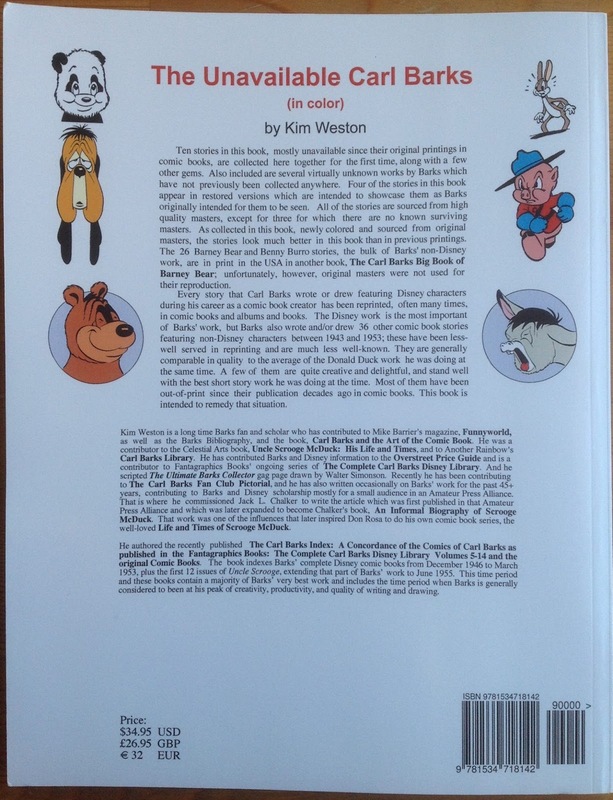 In 2011, Craig Yoe and IDW published The Carl Barks Big Book of Barney Bear, with those 26 stories, in the USA. But that book did not include Barks' other 10 non-Disney stories. 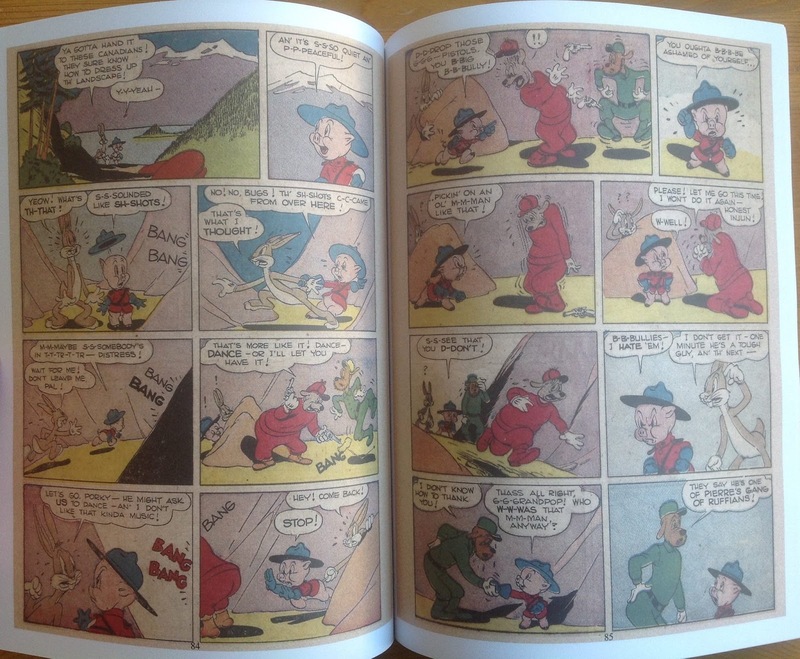 The Unavailable Carl Barks (in color) DOES include those other 10 stories. 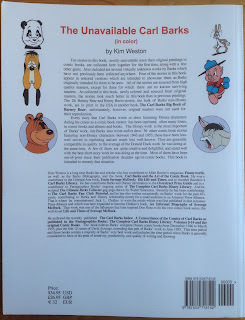 And unlike The Carl Barks Big Book of Barney Bear, which is reproduced from faded, yellowed, 70 year old comic books, 7 of the 10 "unavailable stories" in my book are reproduced from copies of original black line proofs. The other 3, for which there are no known proofs, are, of necessity, reproduced from comic books, 600 dpi scans of the original comic books. 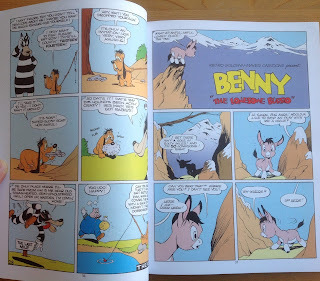 In addition to the other 10 stories, I have also reprinted 2 of the Barney Bear and Benny Burro stories that are in Yoe's Carl Barks Big Book of Barney Bear. Why? 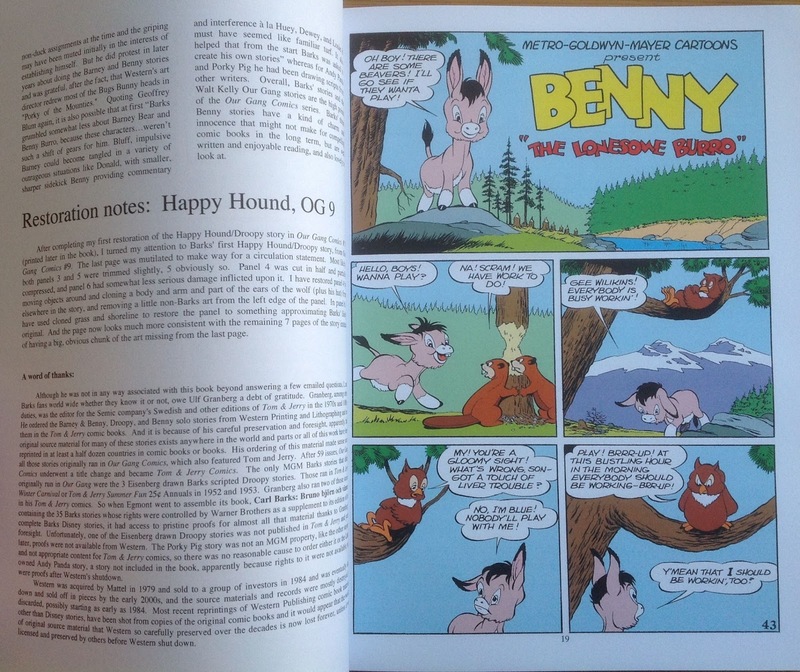 4 of Barks' stories, including the 2 Barney & Benny stories I reprint, were never published in the form in which Barks submitted them to the publisher. 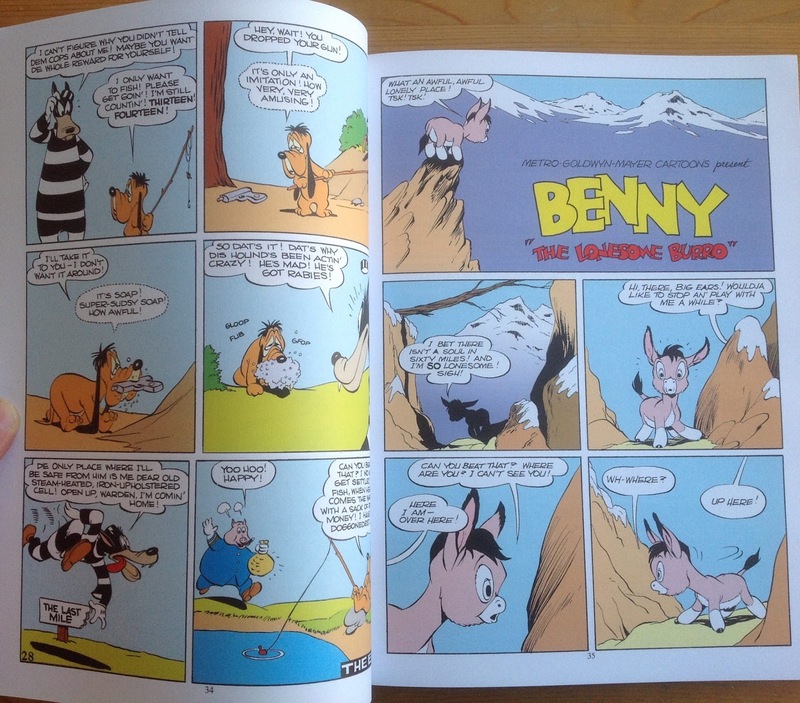 Since I had access to copies of black line proofs of the 2 Barney & Benny stories as well, I have restored them as closely as possible to the way Barks drew them. 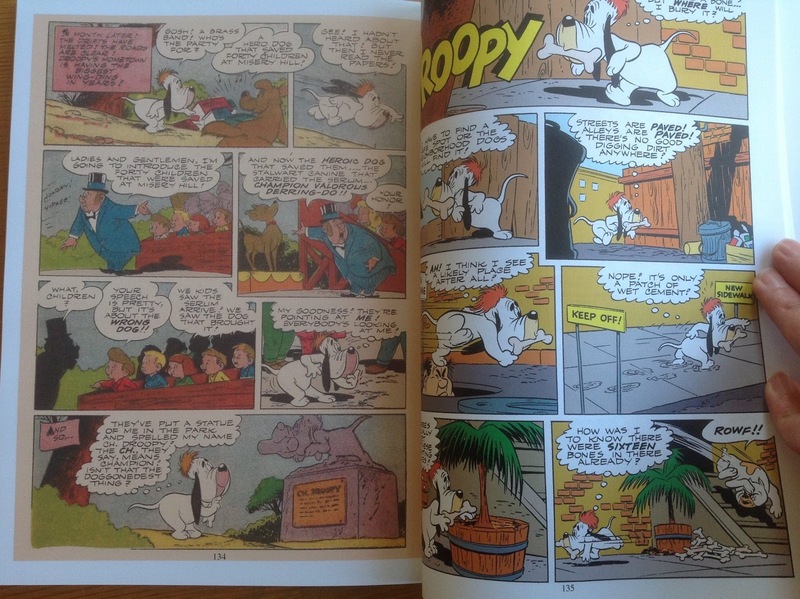 So the 2 Barney & Benny stories look significantly different--and better--than they do in Yoe's book. In all, 4 of the stories are restored in this way in the book. 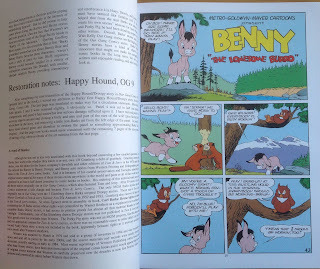 There have been 2 other reprint collections of most of Barks non-Disney work. 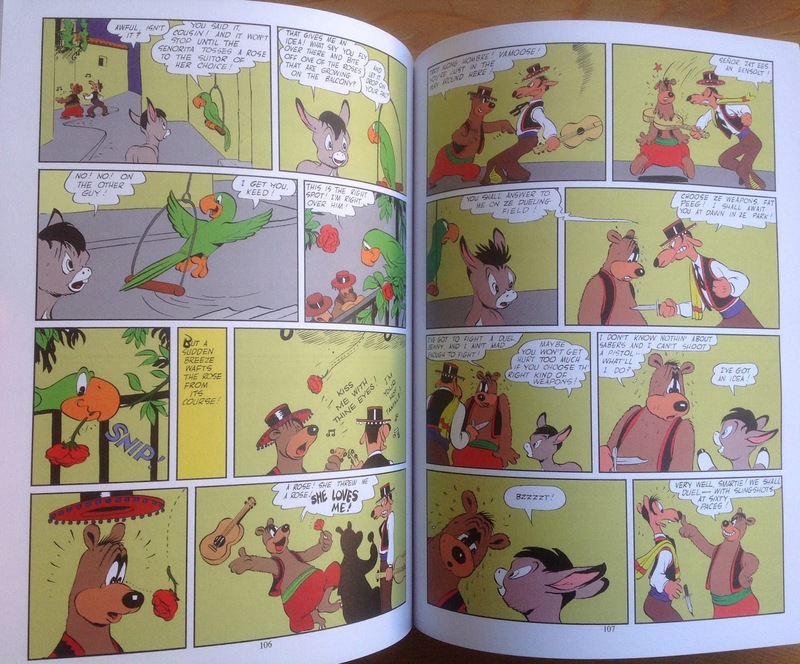 About 1979, the bootleg Barks Bear Book was published, apparently in Sweden, but in English, from black and white photocopies of the comic books. It was missing 3 stories, but it was better than nothing. 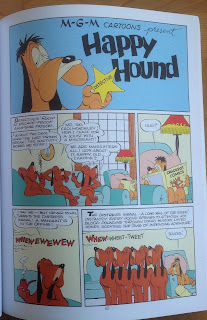 In 2010, Egmont published Carl Barks: Bruno björn och vänner (Carl Barks: Barney Bear and Friends) in Sweden. It is a very nice book but difficult to read unless you read Swedish. Most of the stories are from black line proofs, but the Porky Pig is not. The color was dropped out of scanned comics to make a black line master and then the story was recolored. It looks passable, but does not compare well to the stories printed from original proofs. The book includes 35 of Barks' 36 non-Disney stories, omitting only his Andy Panda story. My book includes Andy Panda and the other 9 non-Disney Barks stories not included in the Yoe book so between my book and Yoe's book, all of Barks' non-Disney work is currently in print. 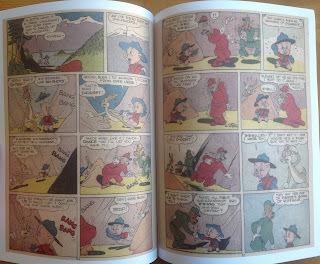 Like the Egmont book, my Porky Pig story is also printed from scans of the original comic book and it looks a lot like the original comic book but with some improved detail due to the larger printing size. 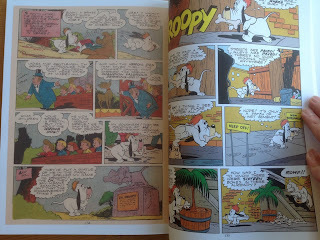 However, because it is printed directly from color scans without dropping out the color, it does a much better job of preserving Barks' essential line quality than the Egmont book, even though its color, as in the original comic, is sloppy and out of register. In addition to 125 pages of color comics, there is a 10 page index of all of Barks' non-Disney comic books keyed not only to the original comic books but also my book and Craig Yoe's book plus about 30 pages of introductory, historical, and background articles. The book is available on Amazon.com in the USA, and the UK and German Amazon sites say it is available there. The book is 34.95 USD, 32 Euros, and 26.95 GBP. 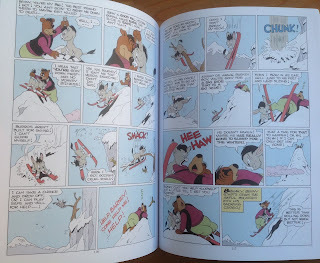 Here are a few snapshots, just to show you what the book looks like. If you are just even slightly interested I'd say: buy now to avoid eBay prices later. Who knows how long this will stay in print. I am still waiting for my copy, that should arrive this saturday, according to Amazon. I am looking forward to more of these from Kim, if he can and has the time. 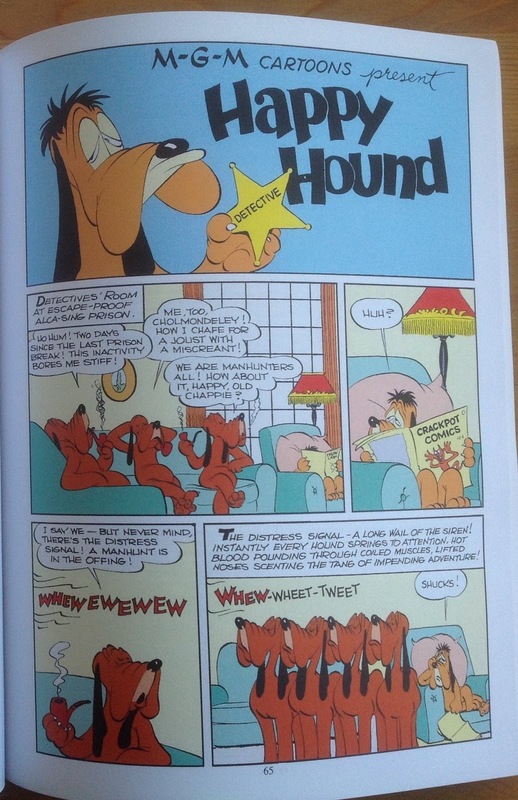 I was a bit disappointed with the "Carl Barks' Big Book of Barney Bear" by Craig Yoe, while this book is what I was waiting for. Yes, Craig Yoe's book was a bit disappointing. 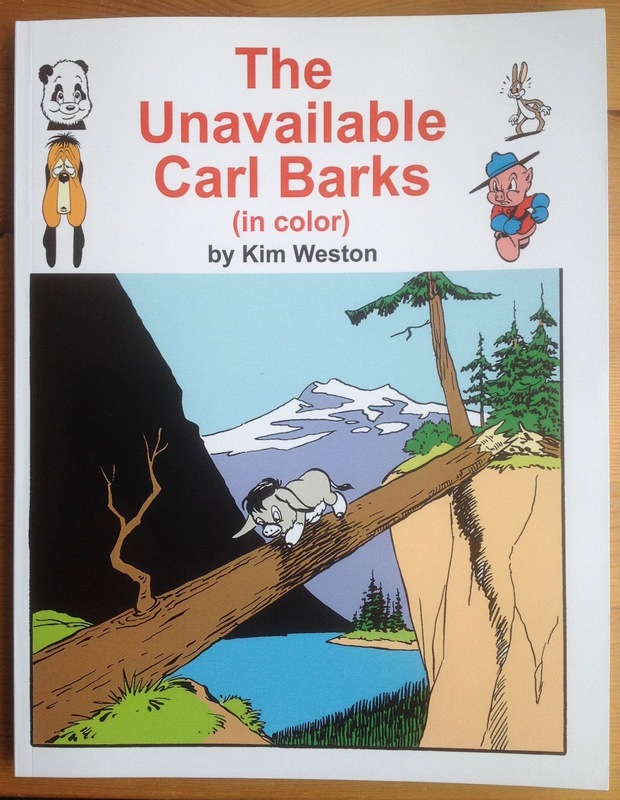 So a reprint of all Bark's 36 non-Disney stories in the same quality as Kim Weston's book would be nice.